Very dreary and boring title, I know. I was up at 7, okay? That is pretty darn early for a student. Anywho, here we are again. Or perhaps the first for some - but alas, this is my third Record Store Day I have been to, and again, it was excellent. The vibe around any record shop today compared to the rest of the year is akin to a gig venue before and after the last song. Which is pretty sad really, as this is more than likely my last visit (or rather purchase, as I do love looking through stores... to see what I haven't downloaded) to an independent record store this year. 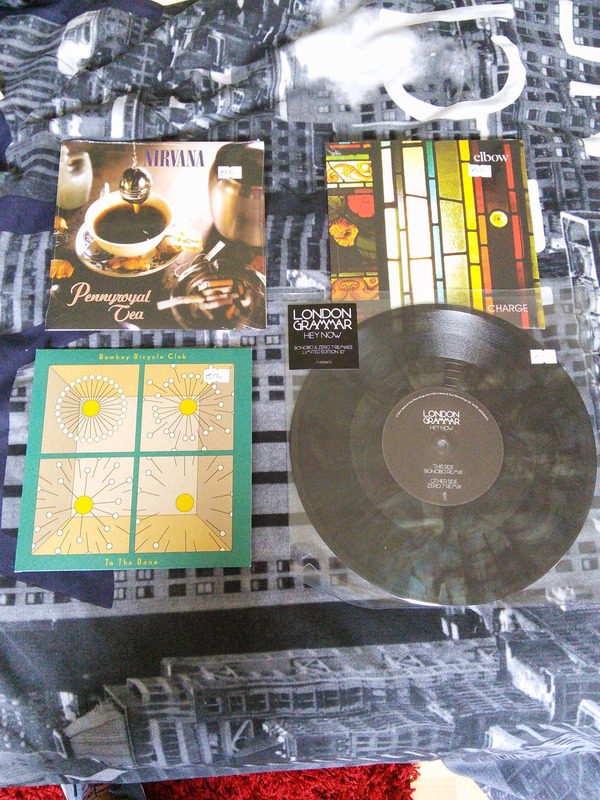 Moving on from that slightly sad state of affairs, feast your eyes on my below haul of records. Pretty remarkable that Billericay managed to get in some of these, don't you think? I went particularly with an eye on the BBC record. I have "To The Bone" already, as it came with "Easier" (yet to be released elsewhere, officially) in the boxset of their last LP. 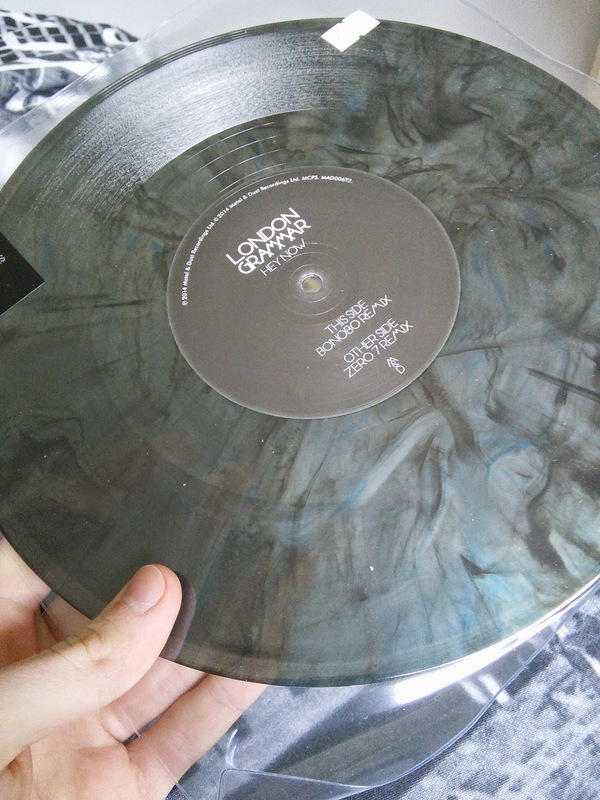 The London Grammar LP has a lovely design to it, which I have attempted to capture below - the photo doesn't do it justice though. Not sure on them calling it "this side" and "other side". There's trying to be cool, and then there is trying to alter the bible. The elbow one, well, I just bloody love Elbow. It has a lovely engraved etching of the album cover on the b side. The Nirvana record has a particularly interesting history to it - it was a cancelled release 20 years ago after Kurt sadly died. Their were images of the records produced in Germany, but the release was cancelled. They claimed to have destroyed all the copies, but mysteriously a few vanished. Here we are now, 20 years on, with a Record Store Day release. Something that in its day would have been sought after, but now easily obtainable on one day of the year. To top it off, today alone I can see an eBay account which shall not be named has sold 5 copies for $40 dollars, making a 500% profit on each record sold. Extortinate; Kurt is most definitely turning in his grave.